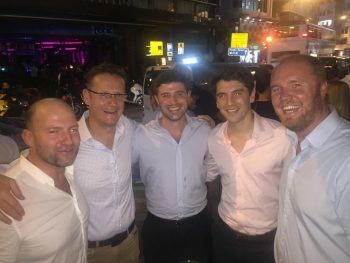 Old Whitgiftians find themselves passing through, and sometimes remaining, in all parts of the world and it is unsurprising that a fair number find themselves in the global business hub of Hong Kong. In May a call went out on social media to see if any OWs were available, with just a few hours notice, to meet for some drinks before Sam Barke (OW 2000-2010) flew back to the UK. Four OWs answered the call and a number of others who were unable to make it expressed an interest in meeting in the future.